1969: A year when humans walked on the moon, listened to groundbreaking sounds from David Bowie and co – and drank champagne whilst travelling to New York aboard Concorde at a speed exceeding that of a rifle bullet. We revisit the year of everyone’d favourite aircraft and track its regular route from Heathrow aboard our own supersonic stars: The Aston Martin V8, Bristol 411 and Ford Capri were all unveiled 50 years ago. How do they stack up today? We take them from Brooklands to the incredible Aerospace Bristol museum and gain exclusive access to the Brabazon Hanger – birthplace of Concorde. Elsewhere in this issue, you’ll find superb MG Midget and Peugeot 405 restoration stories, an interview with a legendary racing driver in her Austin Maxi, we detail our latest project cars – from our NEC show project Riley to the UK’s oldest Citroen CX. Then there’s all the tech: More restoration advice and maintenance tips than any other car magazine available. Concorde made its maiden flight in 1969 and flew straight into the hearts of every human on the planet. The wobbly commercial realities are well-documented, obviously. But for now, it’s 1969 and having had a poke around a period car park, we went off on a jaunt from Brooklands to Bristol in three extremely groovy cars launched in one exceptionally cool year: the Aston Martin DBS, Bristol 411 and the Ford Capri. 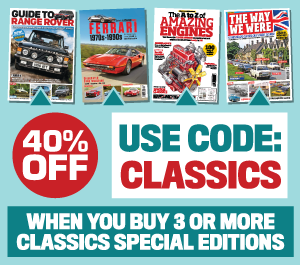 Read the full exclusive story in the January 2019 issue of Practical Classics…. The home of supersonic air travel: Our Bristol 411 at the incredible Aerospace Bristol - a fascinating museum now home to the last Concorde to be built and the last one to fly. We can’t think of a better place in the world to see the greatest airliner ever built. Looking at Ken Hunt’s 1972 MG Midget it’s hard to believe the car was once accident-damaged with a rusted through floor and sills. It’s even harder to comprehend how Ken brought the car back to its current high standard in a single-car garage barely larger than the MG itself. Perhaps the real shocker is that this is not only Ken’s first restoration, but also his first classic car. Of course the daddy was the Mi16 model, which Liam eventually came to own himself. But it needed a lot of work… Read about it in the January 2019 issue! 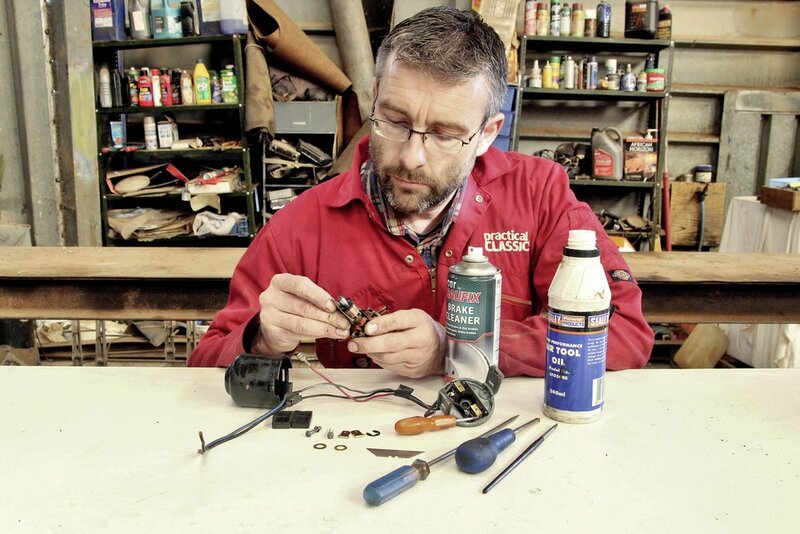 One of our technical gurus Ed Hughes dishes up some useful advice regarding electrical items. Eventually, the small electric motors to be found on your car may grind to a halt. If anything motorised on your classic seems a bit gutless, treat it to a once-in-a-lifetime service. You might be surprised by the results! It's worth noting that the performance of a motor is also dependent on its power supply and on the work it has to do. Before dismembering it, make sure whatever it's operating can move freely. Lubricate linkage joints, make sure anything that’s supposed to rotate does so without undue resistance and check that shafts and bushes, etc, are correctly aligned. Ensure the motor has a reliable power supply and earth. A good test of this is to connect it directly to a battery to see if its performance improves. 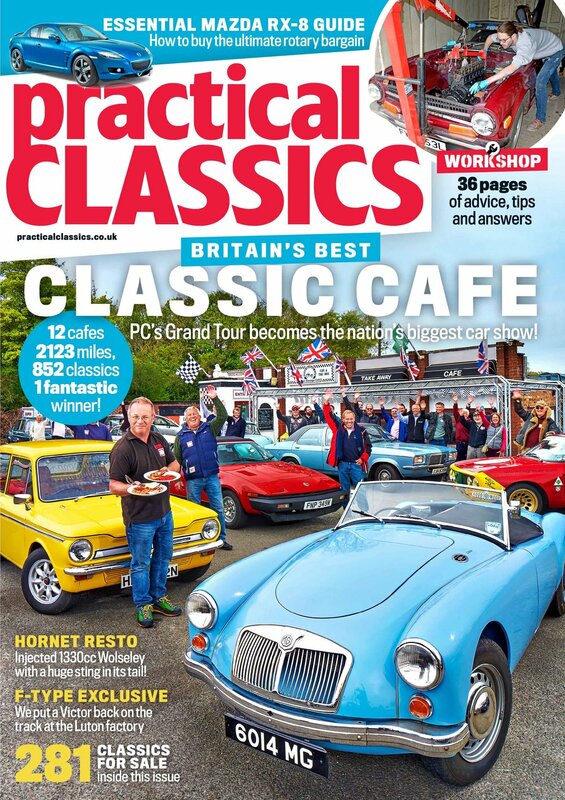 Read all of the tips and advice in the new issue of Practical Classics. In 1970, rally driver Bronwyn ‘Bron’ Burrell drove an Austin Maxi from London to Mexico on the World Cup Rally. Well, almost. How did we do with our NEC Classic Motor Show project, when we tried to rebuild it live on stage? 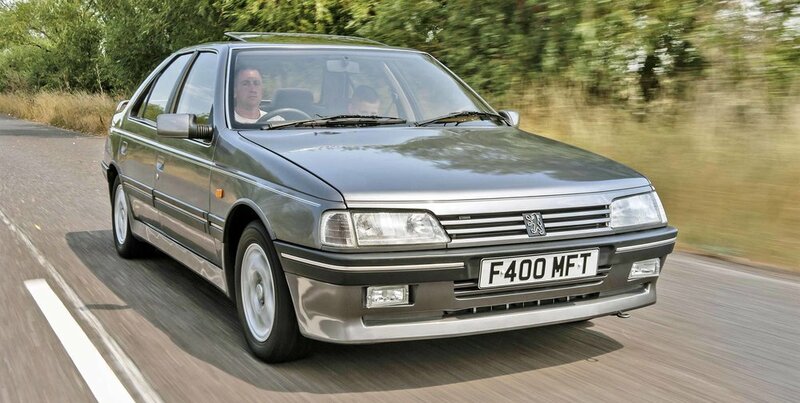 Full story in the current issue of Practical Classics!